I was thrilled to hear Jo Barlow was writing a book for beginners on caring for ex-battery hens and when I received my copy through the post from Amazon, I certainly wasn’t disappointed. Jo has been helping charities rescue ex-commercial or ‘spent’ hens and has rehomed many hens herself at her home in Cornwall. During this time, she has gathered a huge amount of knowledge on the subject from her research and practical experience. Jo has written a number of articles on the subject for magazines and websites, so it is great to see a book gathering all of this information and more in one place. The book is 91 pages long and is divided into 9 chapters. 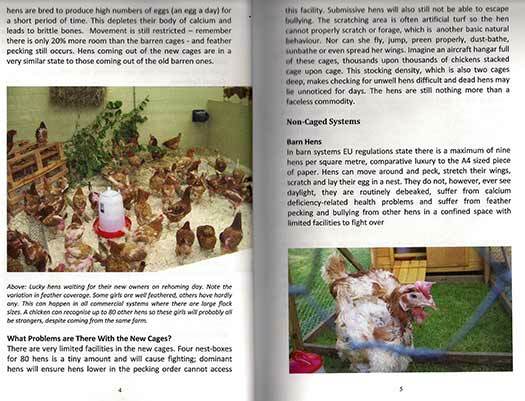 It is very much a practical book, full of information and ideal for beginners, but there is almost a story within this book that may even bring a tear to the eye as Jo’s life with her own hens shines through on every page. Chapters include: where you get ex-batts from, getting ready for their arrival with considerations for chicken coops and runs. Food supplements, First Aid, and how to look after their health, which is also very well covered. Information on the cost of keeping ex-battery hens is also included which is hard to find elsewhere for normal hen keeping, let alone for ex-batts! There is a chapter full of Frequently Asked Questions that I thought was particularly useful for the beginner. The book is full of lovely colour photographs of some of Jo’s hens that she names alphabetically with each of her rescues (the ‘A-named’ girls for example were from her first rescue and so on), it did make me wonder what she will do once she reaches the ‘X-girls’ though! There are photos of ‘before and after’ getting their feathers back as well as photos of typical chicken coops and runs. Jo offers advice on some different coop and run options for your ex-batts. 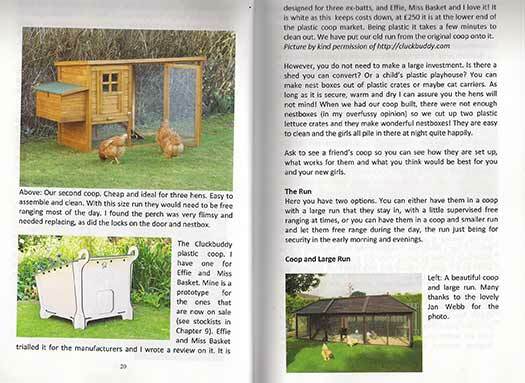 There is practical advice throughout the book and everything you need to get started when giving some ex-battery hens a loving home and happy retirement. With a percentage of the proceeds of this book going to rehoming charities, I think Jo has remained totally committed to the plight of the ‘ex-batt’. For the prospective owner this book provides you with the information you need to confidently care for your ex-battery hens and I wholeheartedly recommend it.